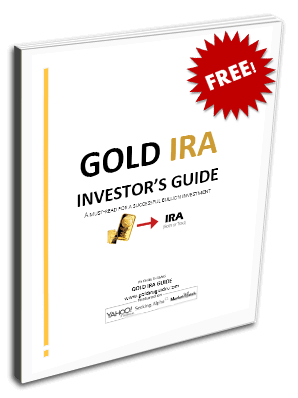 Gold IRA GuideInvesting Did You Feel Safe or Vulnerable During the Financial Crisis of 2008? Did You Feel Safe or Vulnerable During the Financial Crisis of 2008? Ask yourself this: 6 years ago did you feel that your financial stability and investment portfolio was secure, or vulnerable? The answer to that question may be the most important factor to consider when determining whether you should be diversifying and protecting your savings and investments by converting some of your cash holdings into gold and other value-retaining precious metals. Many economic analysts consider the global financial crisis of 2008 to be the worst in investment history since the Great Depression of the 30's. With skyrocketing inflation rates threatening to devalue the U.S. Dollar, and declines in consumer wealth estimated in the range of trillions of dollars, the bank bailouts, stock market downturns, housing market collapse, and corporate failures of 2008 created a turbulent economic environment that lead to the famous recession of 2008-2012. During that time everyone seemed to spend less, earn less, and dollars became worth less (though not quite yet worthless). However, not everyone lost money. In fact, some wise investors were actually able to turn a hefty profit amidst the ensuing financial turmoil. But how? As the U.S. Dollar and other fiat currencies continue to decline in value due to inflation and other economic factors, the demand for precious metals increases. It's common knowledge that gold has held a relatively high value throughout history, and has been viewed as a valuable trading commodity in virtually every society for thousands of years. Smart money managers buy gold in times of economic hardship because they know that it will probably be worth more or at least nearly the same next year as it is this year. When the financial crisis began hurting the dollars of companies, investors, and savers around the world, people began converting all sorts of currencies into precious metals, and the demand for gold began rising exponentially in late 2008. As the demand for gold rose, so did its price, resulting in a dramatic increase in value in just three years – the price of an ounce of gold rose from $799.70 on August 18th, 2008 to $1917.90 on August 23rd, 2011. To put that into perspective, someone who invested $100,000 of their cash holdings into gold in late 2008 would have been able to purchase about 125 ounces of gold at that time, which could have then been sold in late 2011 at approximately $1920/oz, for a total return of about $240,000. That's a 140% increase on an investment in just three years! When you consider how many people took substantial losses in the recession, it is impressive how gold performed as an investment and value protecting medium during the same timeframe. The lesson here is that turning your dollars into gold and investing in other commodities not only protects the value of your savings from inflation, it also gives you the opportunity to profit off of the inevitable devaluation of fiat currencies. If you're like many people saving for their retirement, you probably have a 401k account that you and your employer contribute to on a regular basis. Unfortunately, typical 401k savings accounts store your retirement savings in U.S. Dollars, which we all know are gradually depreciating in value. In other words, the longer your savings stay in dollar form, the less you'll have left to spend when you're finally ready to retire. The good news is, if you have a 401k from a previous job, you may be able to rollover the funds in your old account into a self-directed individual retirement account (IRA) that would allow you to invest your retirement savings in a broad range of more stable and profitable holdings like real estate and precious metals. If your 401k is still active at your current job, you can still open an IRA alongside the 401k and contribute to both at the same time, but you won't be able to rollover the current 401k into an IRA. An IRA in which physical gold is the primary asset being managed is often called a “Gold IRA.” Converting your old 401k into a Gold IRA is by far the best way to safeguard the value of your retirement savings and ensure that currency devaluation and debasement issues won't ruin the financial freedom and relaxation you've been building towards for years. Keep in mind that not all kinds of gold can be stored in an IRA. Section 408(m)(3) of the Internal Revenue Code lists regulations pertaining to investing in precious metals within an IRA. Only certain types of gold coins and bars are approved by the IRS for IRA investing – see our list of the types of previous metals that are allowed in an IRA. Furthermore, the IRS requires that a qualified trustee (referred to as a custodian) oversee and maintain all of the transactions conducted within a self-directed IRA. There are a number of asset management companies and investment firms that offer trustworthy custodian services to help you manage a stable and profitable IRA portfolio. To save you the time and hassle, we've compiled a list of the most reputable Gold IRA custodian companies in the industry. Purchasing physical gold with your investment funds or savings gives you the opportunity to profit even while all other industries and currencies are struggling, while also ensuring that the income you've earned thus far holds its value well into retirement. There are many reasons why gold holds value so well, but right now one of the most important factors is its rarity. Studies have shown that at the current rate of mining, most of the gold reserves on Earth could be mined within the next twenty years. As the supply continues to dwindle and the demand increases, we might see gold prices reach in excess of $5,000 per ounce during the next decade. 2008 caught many baby boomers by surprise. It surely should be a case of once beaten twice shy for most retirees?